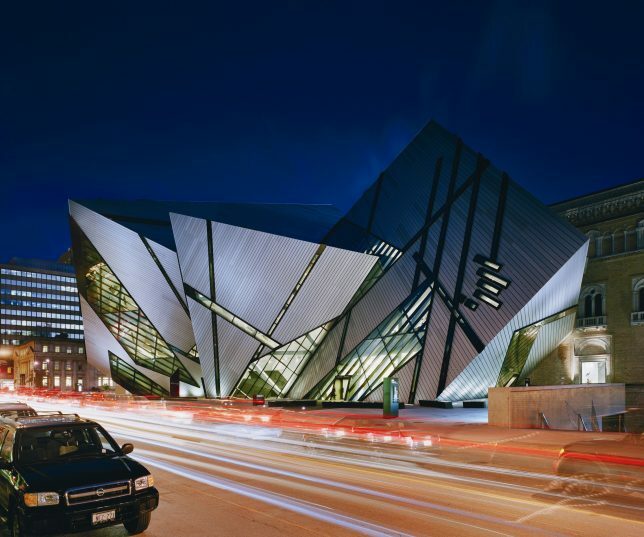 No single architect has explored the extremes of modern and traditional contrasts quite like Daniel Libeskind, whose extensions to the Dresden Military History Museum and the Royal Ontario Museum have stirred more than a little controversy. 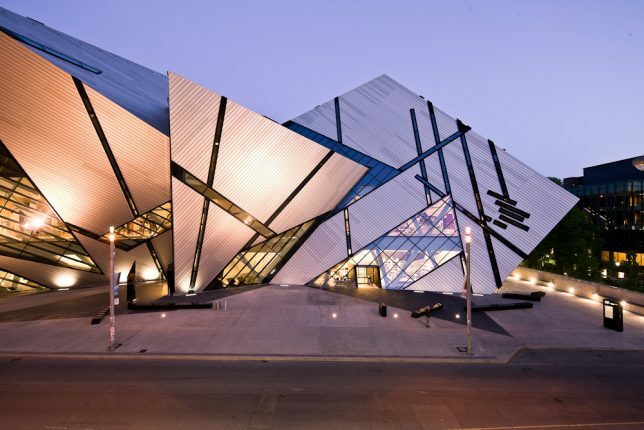 In the first case, the angular ‘Crystal’ addition has been called “about as welcoming as the entrance to the Death Star” and is consistently ranked among the world’s ugliest buildings. 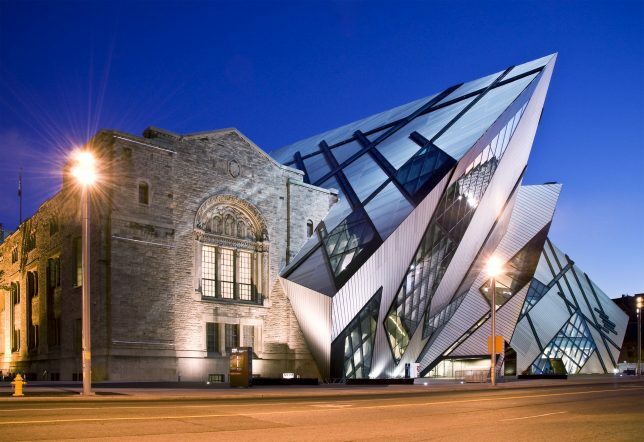 Critics are divided, with some calling the flamboyant design ‘visionary.’ There’s no doubt that it stands out, which isn’t always a bad thing: sometimes, a departure from the existing architecture is necessary to establish historical context. But some would argue that its dramatic size and form causes the original building to recede, especially as the ‘shard’ looks a bit like a crane dropped an entirely different building on top of the first and left it as it fell. 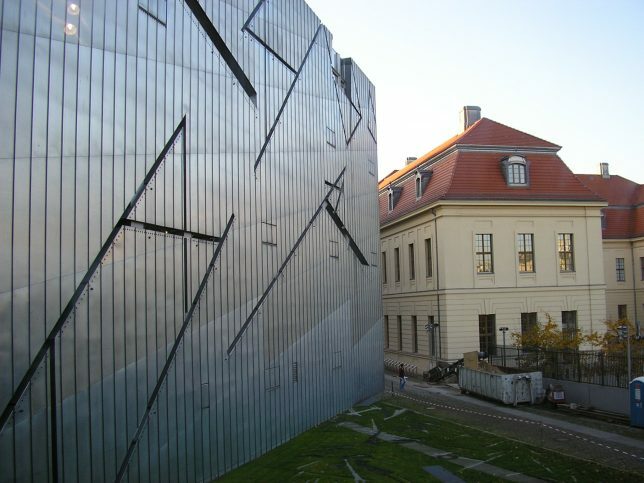 In the same architect’s extension to the original Jewish Museum in Berlin, which opened in 1933, we see a similarly dramatic contrast of architectural styles, yet in this case it feels more appropriate, especially considering the context. 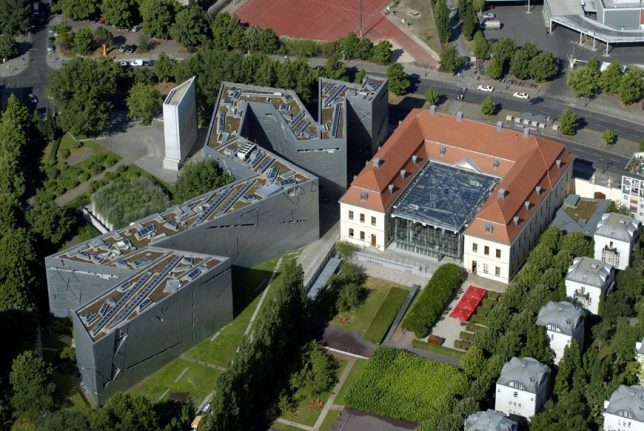 Libeskind’s zig-zagging metallic design stands as a metaphor for the Jewish lifestyle during and after the Holocaust. The visual shift has a narrative heft, and stands separate from the historic structure rather than looming over it. 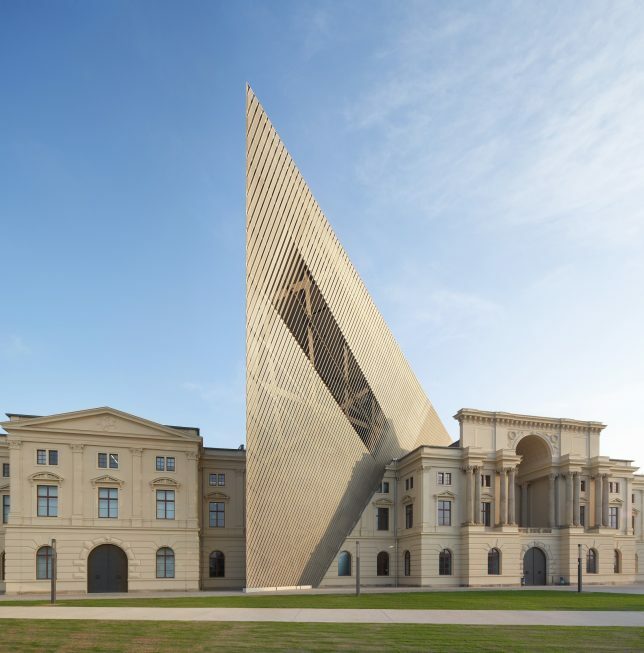 By the time Libeskind got around to the Dresden Military History Museum extension, the architect seemed to have made a conscious decision to maintain all the aesthetic drama of The Crystal in a more restrained palette and scale. 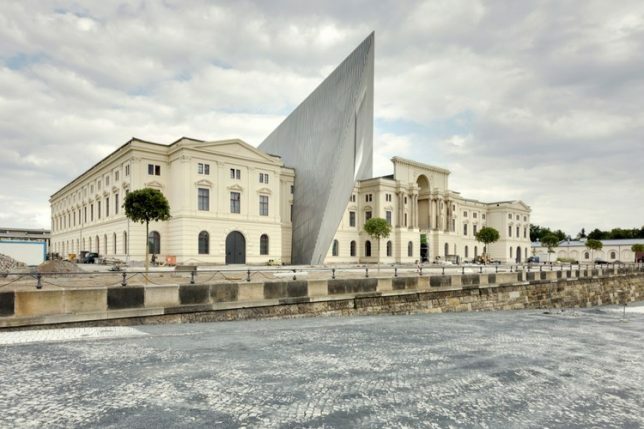 While this extension similarly rises into the air in an angular shard, it does so with historical context parallel to that of the Jewish Museum, and in a way that keeps visual focus on the original structure. The original building was an arsenal for the German Armed Forces built in the 1870s and served as a Nazi museum, a Soviet museum and an East German museum prior to its current incarnation. It’s particularly notable for the fact that it escaped Allied bombing during World War II. This method of expanding traditional homes in England has become somewhat of a trend, and it’s as beautiful as it is unobtrusive. 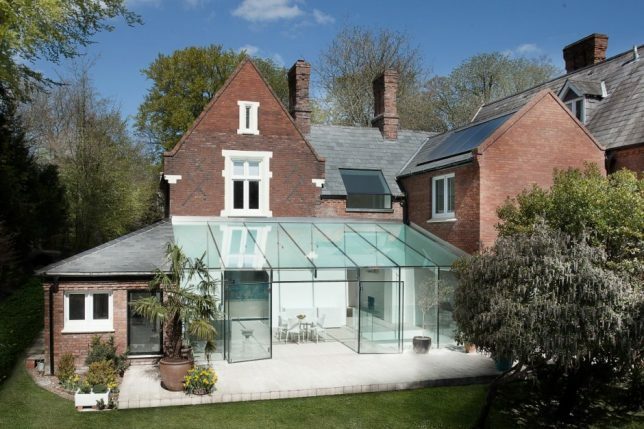 ‘The Glass House’ by AR Design Studio preserves the traditional facade of a historic home in Winchester, reclaiming a formerly disused section of the garden. 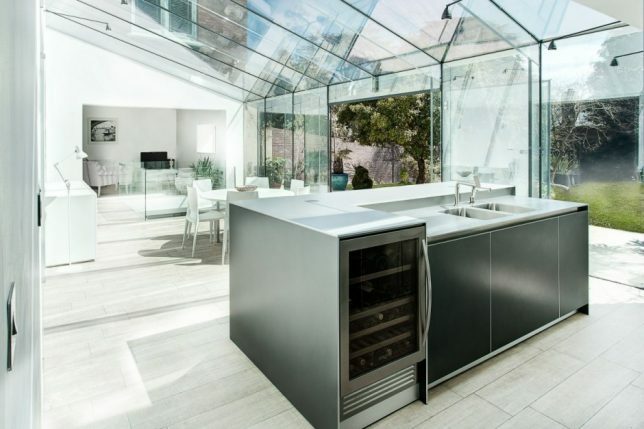 The white-and-glass scheme of the addition is carried into the interiors of the entire home for a cohesive renovation that expanded usable space by eliminating excess walls and ceilings.